We are a bit partial to making cool things with pixels. A couple weeks ago we shared some ideas on how to get arty with pixel designs. In this post we'll look at some fun ways to make pixel art on the computer or using electronics. We've been working on a series of pixel designs for an alternative to chocolate Christmas advent calendar. 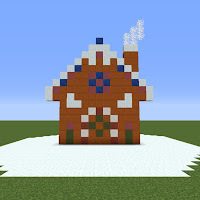 There's lots of pixel design ideas with a Christmas theme. During the Hour of Code week Tracy's son completed the Kano Pixel Hack challenge. 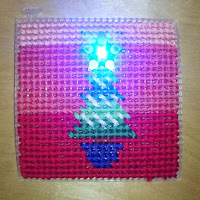 They made one the Christmas advent pixel designs by coding rectangles in the Kano Make Art playground. 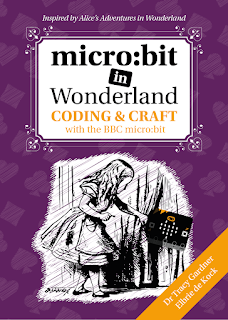 It's super fun and a great way play around with code and art. 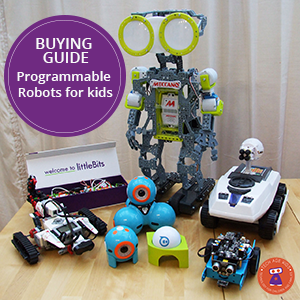 There's quite a bit of typing involved, so for younger kids we recommend an adult or older sibling work together. Find our code to make the Bell pixel design. We made all the pixel designs in our 2016 advent calendar using Piskel. It is a free online tool to create pixel pictures. You can also make animations by adding frames. 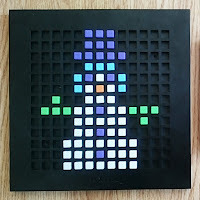 We made this dancing elf, which you can clone and change or make your own pixel art using Piskel. Piskel is best used on a computer. There is not an app available for the tool. Minecraft is a online game which is entirely made of pixels. Kids who play Minecraft will be very familiar with pixel characters and making stuff with square blocks. Minecraft allows you to create in 3D, so that challenge would be is you can take a 2D pixel design and create it in 3D? 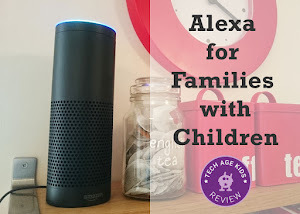 We love Minecraft at Tech Age Kids, but we do recommend parents get involved with how young kids play the game. Check out our Minecraft posts. 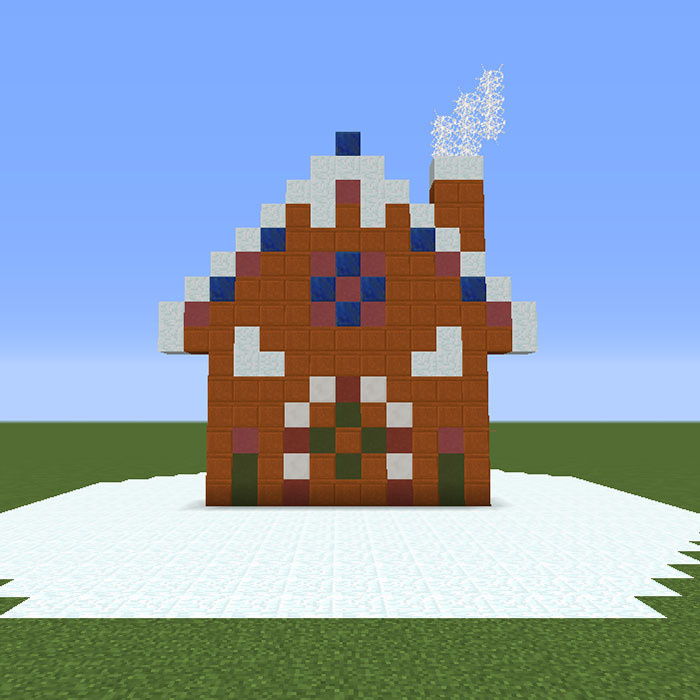 Tracy's son are making all the pixel designs in Minecraft and we're posting screenshots on our Facebook Page. Teknikio and Chibitronics make electronics which are easy to add to craft projects, either by sewing with conductive thread or using copper tape. 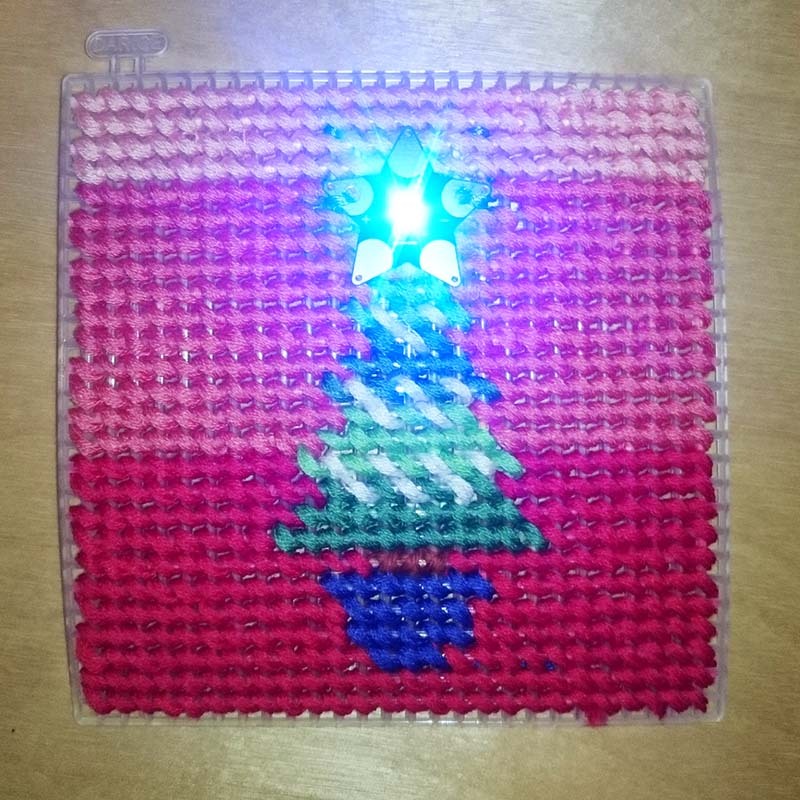 We've added a star-shaped LED made by Teknikio to a little tapestry project made from a pixel design. 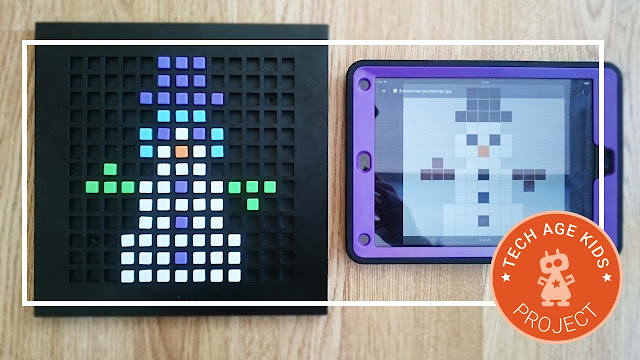 We love the Bloxels kit for kids to make their own retro style video games. Everything is based on pixels! You make characters and animations, which you then programme into your own game. 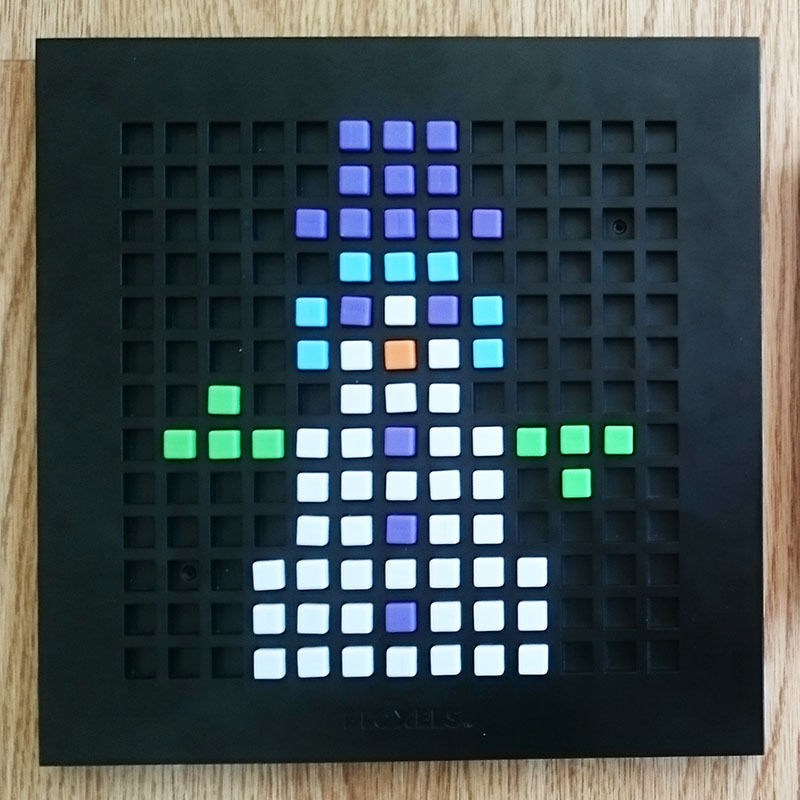 The kit comes with a physical board and tiny pixel blocks, to make the pixel designs. We made quite a few of the Christmas advent designs using Bloxels. 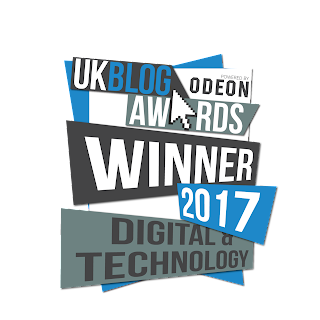 The kit works with an app, which captures the physical designs and places them into the app to create a video game or animations. Find out more about Bloxels. 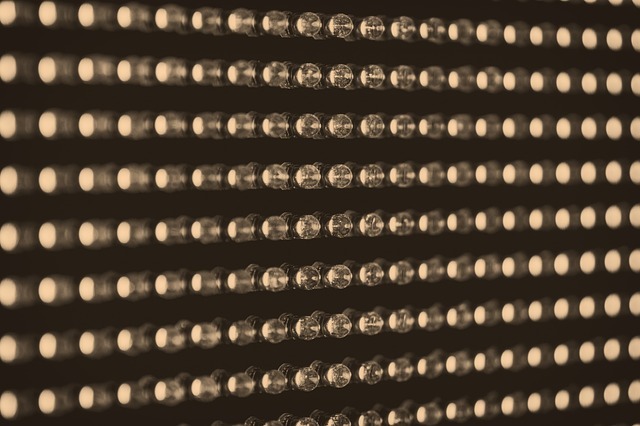 Inspired by other makers, Tracy's family is creating a DIY LED matrix to programme pixel art. This project is currently in the making, and we're really looking forward to share it with you. Fingers crossed it will be before Christmas! Subscribe to our mailing list to stay tuned.